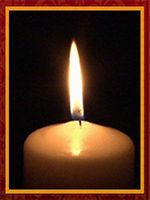 M. Kathleen “Kass” Herr, 74, of Lancaster, died Wednesday, February 1, 2012. She was married 51 years to Donald G. Herr. Born in Lancaster, she was the daughter of the late Albert and M. Katherine Markert Kendig. Kass graduated from Millersville University and spent 40 years teaching in the School District of Lancaster. She taught Kindergarten, first and second grades primarily at Washington Elementary. She was a member of the Church of the Apostles U.C.C. and a former member of the Senior Orchestra at the Lancaster Recreation Commission. She enjoyed music, knitting and spending time with her family. Surviving besides her husband is a son, Christopher A. husband of Jennifer Herr of Quarryville; a daughter Jennifer E. wife of Francis D. Rineer III of Lancaster; six grandchildren, Anthony Sayeg, Samantha Oliver, Christopher S. Herr, Caleb Rineer, Tatiana Rineer and Caedon Herr; and a brother, Dennis Kendig of Mountville. She was preceded in death by a brother Donald Kendig and by sisters Helen Shultz and Ruth Bryson. A Memorial Service will be held on Saturday, February 4, 2012 at 1:00 P.M. at the Church of the Apostles U.C.C., 1850 Marietta Ave., Lancaster, PA. Friends may greet the family following the service. Interment will be private and held at the convenience of the family in the Memorial Gardens at the church. In lieu of flowers, contributions in her memory may be made to the Church of the Apostles U.C.C. or to the American Heart Association. My thoughts are with you and your famalies at this time. Please accept my sincere sympathy.